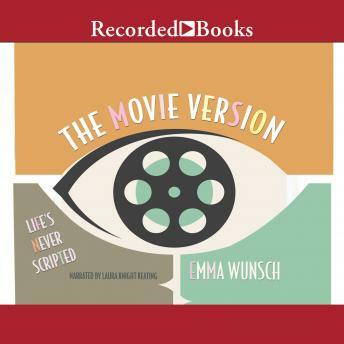 A whip-smart, heart-wrenching YA debut about a film-obsessed teen who must choose between playing sidekick to her charismatic brother or being her own leading lady In the movie version of Amelia's life, the roles have always been clear. Her older brother, Toby: definitely the Star. As popular with the stoners as he is with the cheerleaders, Toby is someone you'd pay ten bucks to watch sweep Battle of the Bands and build a "beach party" in the bathroom. As for Amelia? She's Toby Anderson's Younger Sister. She's perfectly happy to watch Toby's hijinks from the sidelines, when she's not engrossed in one of her elaborately themed Netflix movie marathons. But recently Toby's been acting in a very non-movie-version way. He's stopped hanging out with his horde of friends and started obsessively journaling and disappearing for days at a time. Amelia doesn't know what's happened to her awesome older brother, or who this strange actor is that's taken his place. And there's someone else pulling at her attention: a smart, cute new boyfriend who wants to know the real Amelia-not Toby's Sidekick. Amelia feels adrift without her star, but to best help Toby-and herself-it might be time to cast a new role: Amelia Anderson, leading lady.